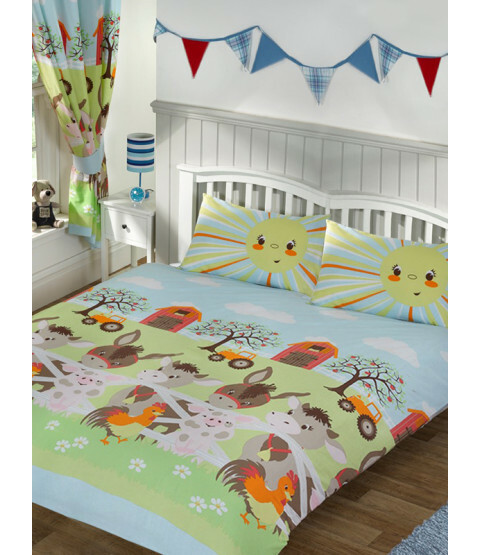 This Sunshine Farm double duvet cover set is ideal for any little animal lovers. 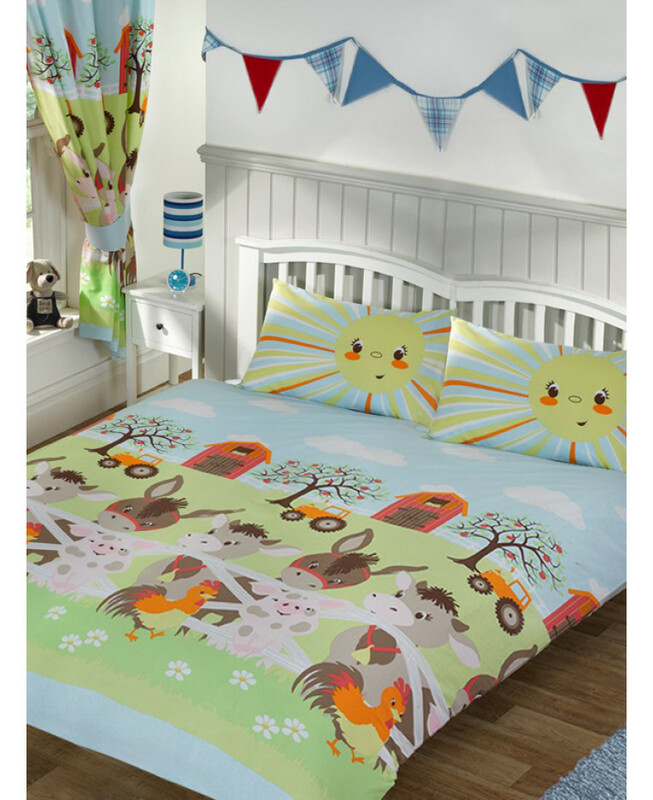 The colourful design features lots of adorable donkeys, cows, pigs and chickens on a farmyard themed backdrop, with smiling suns on the pillowcases. Made from a polycotton blend, this set is suitable for machine washing and tumble drying on a low setting.